Multitrack Audio allows you to separate your recording's audio into four discrete tracks; Mixed, Microphone, System Sound, and Stream Only. 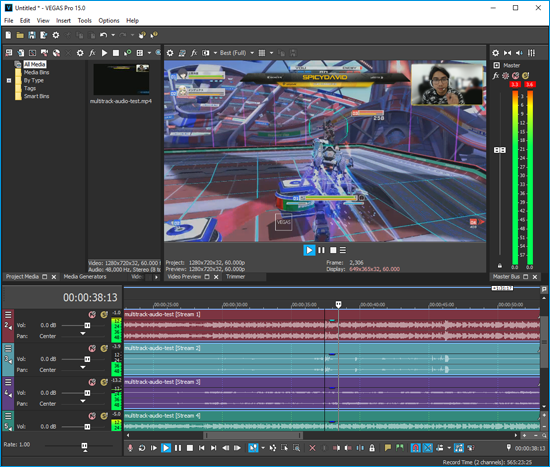 This will give you the flexibility to edit tracks individually during post-production as well as allow you to switch between audio tracks when using media players that support it. Go to Record, then click the icon next to Local Recording to open its properties window. 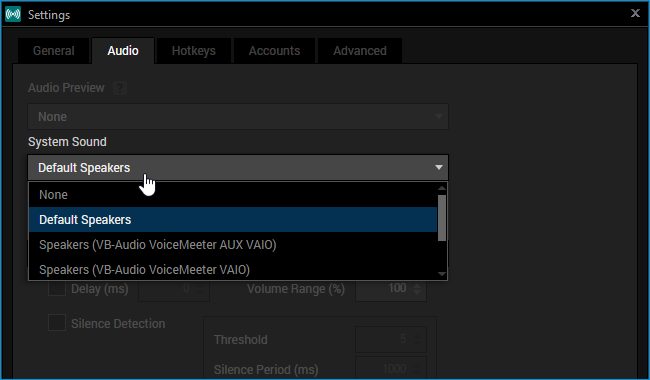 Enable the Create multitrack recording of microphone and system audio option. 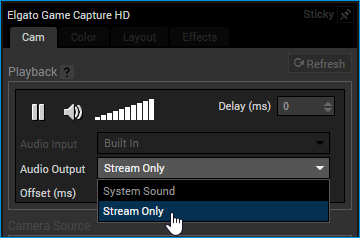 Click the icon next to one of your Broadcast outputs to open its properties window. 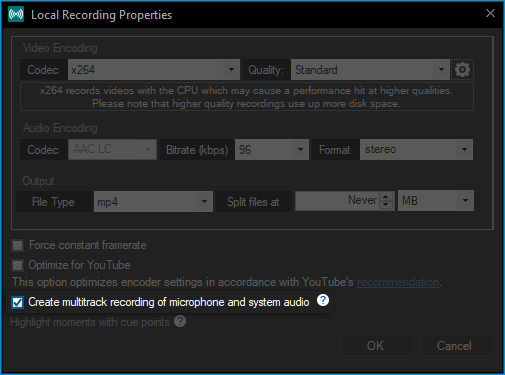 Automatically save recording on local drive has to be enabled to create stream recordings. The combined audio track from all sound sources. This includes audio from the system sound, microphones and even sources set to output to Stream Only. Audio captured from the System Sound device set in your Audio settings. Devices listed here will be from your Windows Playback Devices. These include speakers, headphones, Line Out, etc. 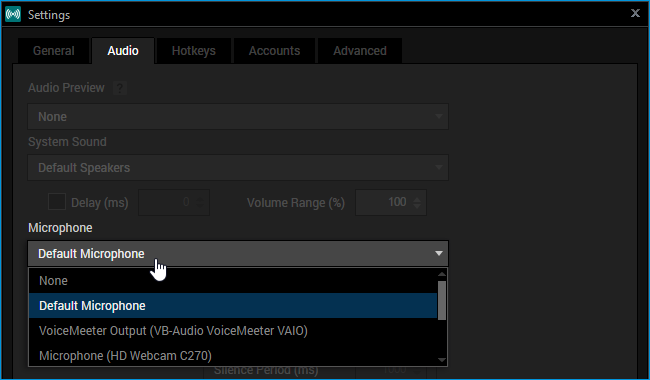 Audio captured from the Microphone device set in your Audio settings. Devices listed here will be from your Windows Recording Devices. These include microphones, USB mixers, Line In, etc. Audio from sources with their Audio Output set to Stream Only. A source's audio output is set to System Sound by default. You can change this setting by right-clicking on your source to bring up its properties window, then clicking the Audio Output drop-down underneath Playback. By setting a source's audio output to Stream Only, their sound will be routed directly to the recording or stream.